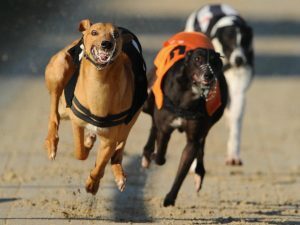 Coursing is where the sport of greyhound racing originated from. The sport has a very long and interesting history that dates as far back as 1876 in England, (unsurprisingly, given that the sport is still trendy in England today). In 1876, it was a straight track that was used, as well as live hares (to lure dogs), which failed and did not go anywhere. It wasn’t until 1912 that the sport we are familiar with today came to fruition. In 1912, Owen Patrick Smith who was an American, took the sport into his own hands, when he took a firm stance against killing live hares. 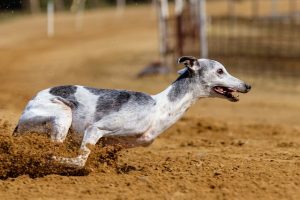 He spent seven years trying to develop a more modern and fair sport, and by 1919, he opened a track dedicated to greyhound racing in California. In 1926, the mechanical hare was introduced in Britain, after being created and marketed by yet another American innovator, Charles Munn alongside a Canadian colleague. The hare was not an instant success, and it took searching far and wide to find supporters, investors and those interested in the product. It didn’t help that there was a large and looming strike. 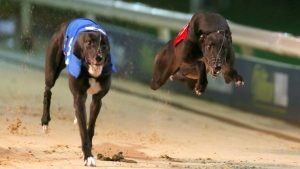 By the grace of God, they raised £22000 and created the Greyhound Racing Association, and the success was then impressive and rapid. In fact, by the end of 1927, there were over 40 tracks in operation and regulated. The sport drew mostly male working-class audiences because the tracks were primarily located in more urban areas, and the races took place in the evenings and through the week. The introduction of race betting in the 1930s attracted crowds, leading to more investment, quite literally. 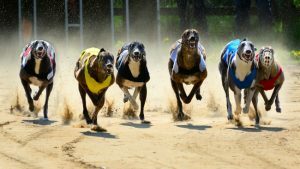 Betting became an integral feature of the sport. The peak of the sport’s popularity regarding attendance came after the Second World War ended, and there was more celebrating, socialising and money for betting. The ’60s saw a decline in attendance, because of several reasons and contributing factors.